A new obsession has erupted and these days people more health-conscious than ever. Admit it: whenever you see green food, you assume that it’s healthy. What green food is not healthy, anyway? Probably food coloring? But most likely, your assumption is CORRECT. Leafy vegetables and edible greens, if not all, are good for your body! Included in that list are the herbal plants, supplements and drinks that aid in your diet and well-being. One of the favored drinks known worldwide is green tea. 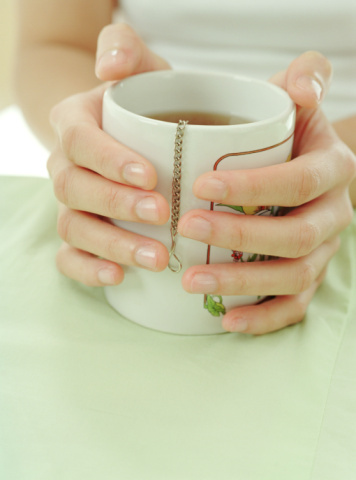 There are many known benefits of green tea. Some of the best are that it decreases the risks of having cancer, it helps you to lose body fat and it provides your body with anti-oxidant agents. With all green tea’s useful essentials, you would be crazy over it. But now, medical researchers have found another herb that has even greater health benefits. That is ashitaba. First of all, let’s define “super food” here, so we are all in the same page. Super food is regarded as composed of unprocessed substances that protect our health. Meals with super food consumed are incorporated with several therapeutic and healing elements that prevent sicknesses. Also, when super food is regularly eaten, you will be assisted in reducing your unwanted fats. Super food like ashitaba is important as it defends your body system against various types of cancer, diabetes and coronary heart diseases. It also passes additional strength and energy to keep your good mood all day. Aside from ashitaba, green tea and wheat grass also count as super food which are vastly vitalizing. One serving of tomorrow leaves (e.g. percent ashitaba tea), for instance, is tantamount to eight servings of healthy vegetables. 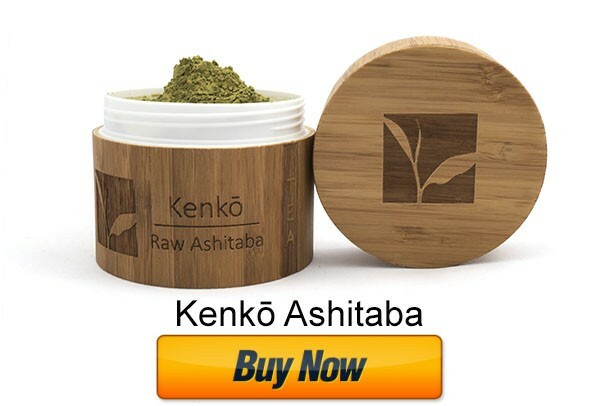 Organically grown ashitaba is the only known natural plant that contains an aromatic ketone and an enone called chalcones. Chalcones (or chalconoids) collectively are what forms the central core of a variety of important biological compounds. Helping the body on a cellular level, these compounds happen to be remarkable potent anti-oxidants. Chalcone is the yellow sap derived from the stem of the ashitaba plant. It contains anti-fungal, anti-tumor, anti-bacterial and anti-inflammatory qualities. Exhibiting the benefits of both land and marine plants, ashitaba leaves or tomorrow leaves have vitamin B that is normally not present in terrestrial plants. Ashitaba green leaves enable good formation of red blood cells and nerves. Aside from the stem and leaves, the stalk of ashitaba is also edible. It can be eaten raw, boiled, or deep-fried, or dried and ground for juice, dessert or other value-added products. It provides you with medium-to-high levels of beta-carotene, riboflavin, and ascorbic acid. The roots of ashitaba can be cooked or pickled. Yes, even the roots are health for your body! Overall, the ashitaba plant is extremely rich is folic acid, coumarin (archangelicin) and medium calcium and iron. I have a mayoma and I think Ashitaba can help me with this problem. Never heard of this plant before. Many people are very interested to try this ASHITABA LEAVES. Good thing they already have a Facebook Page to inform people all around the world about the wonder of this tomorrow leaf. I have seen many Facebook pages of ashitaba however they are not active. Nevertheless, the public is informed. Ashitaba is definitely a super food with it nutritional and medicinal value. On behalf of the plant, I say thanks. 🙂 Yes, ashitaba is a super food that brings lots of nutrition. Been hearing a lot of good things about this plant before. Even a friend has been looking for one for her mom's ailments. Too bad it's not widely available, especially here in Davao. The good thing about e-commerce is now you can have the things you want when the items are not available locally. If you want, you may order ashitaba tea, ashitaba seeds and other things from Amazon webstore. I have never heard of this plant until I came in this page. It sounds as though this plant has it all. Yup, so we've heard of other strange medicinal plants and the list goes on every time new researches have discovered something surreal and effective. Ashitaba is one of the emerging "wonder plants" and "superfood" you have to know about. I've been taking ashitaba pellets since February mainly to stop my full body hives whenever my body gets hot. Its helped immensely and I'm not broken out with every hot shower. Also, cuts and scrapes heal so much faster. I recently ran out of the pellets and was suffering with IUD mirena withdrawals called mirena crash for the last month. Severe fatigue, severe nausea, and body aches are just a few symptoms I was experiencing. Well guess what? I got my pellets and within 24 hours and no more pain, energy levels back up, and only 2 nausea spells. Its 72 hours later and absolutely no more nausea! True believer here! Wow! Thanks for sharing your testimony here. This just goes to show that ashitaba, whether in leaf, tea, capsules or pellets form, show miracles and effectiveness when healing people's many diseases. Low blood – yes, you can read my blog post regarding anemia. Please see sidebar navigation. Are you the owner of this blog by any chance? I hope this can cure my asthma…. Ashitaba can work on your asthma as well. Please see sidebar navigation and look for "Asthma." I'm not sure about that. The best is to consult with your doctor.